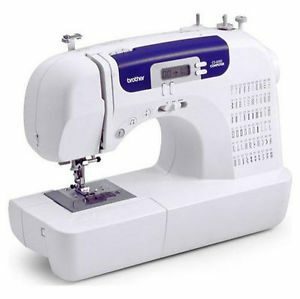 Sewing machines have come a long way from the black cast-iron monstrosities that filled up entire rooms. 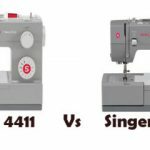 While some professionals still use that old Singer machine, many homes and businesses are now turning to the computerized sewing machine. The computerized sewing machine makes tedious tasks simple by automating them at the push of a button. The computerized sewing machine also makes tough and complicated tasks, such as embroidery, a breeze. For people who do a lot of repetitive stitching, the computerized machine can take over these mind-numbing tasks. Computerized machines are basically highly-specialized computers. They are run by a central processing unit and other electronic parts, rather than mechanical components. This is both a benefit and a drawback to the computerized sewing machine. 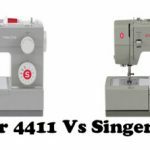 Should something go wrong with the sewing machine, the whole machine will need examination, which makes repairs more expensive. 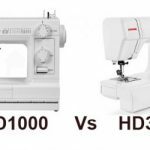 Sewing machines that are computerized usually have a liquid crystal display (LCD) screen to enable users to access its special features. Some of these features include built-in stitches for a wide variety of projects. Machines are also capable of automatic stitch sequences. You can program a series of stitches into the sewing machine computer and save it into memory. Then you’ll be able to use frequently-used sequences easily. Stitch functions can also be accessed via computer. Users can select stitch functions such as utility, heirloom, decorative, quilting, blanket, and a host of others. For those who like to customize their work, computerized machines can make monogramming and lettering a snap. Some models can even upload and download patterns and stitches from your home computer for enhanced customizing capabilities. 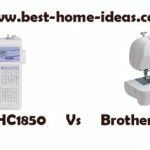 Sewing machines with built-in computers are available from a wide variety of manufacturers, such as Brother, Janome & Singer. Each has very similar basic functions in common, but the computer programming can vary. As well, buyers should consider the availability of a repair facility in their local area. 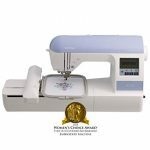 It can be extremely expensive to have to ship a sewing machine. Also check and compare the manufacturer’s warranty and support policies. For novice users, some dealers offer classes on using these computerized machines.